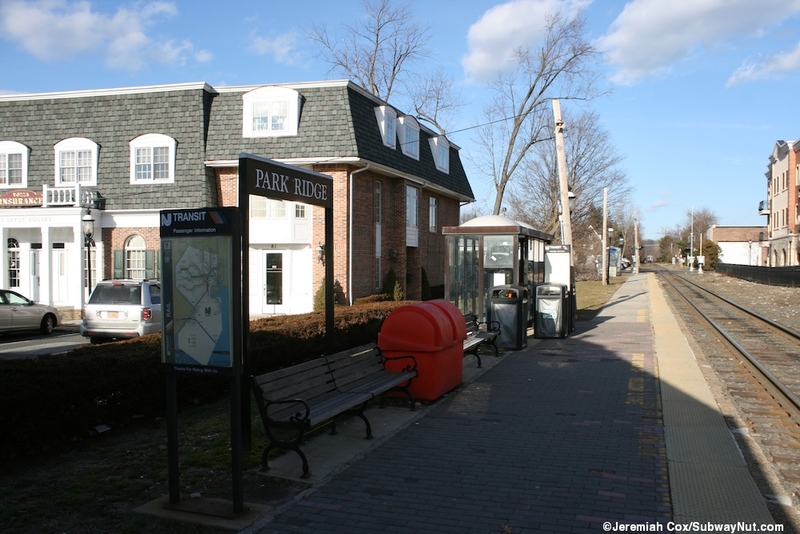 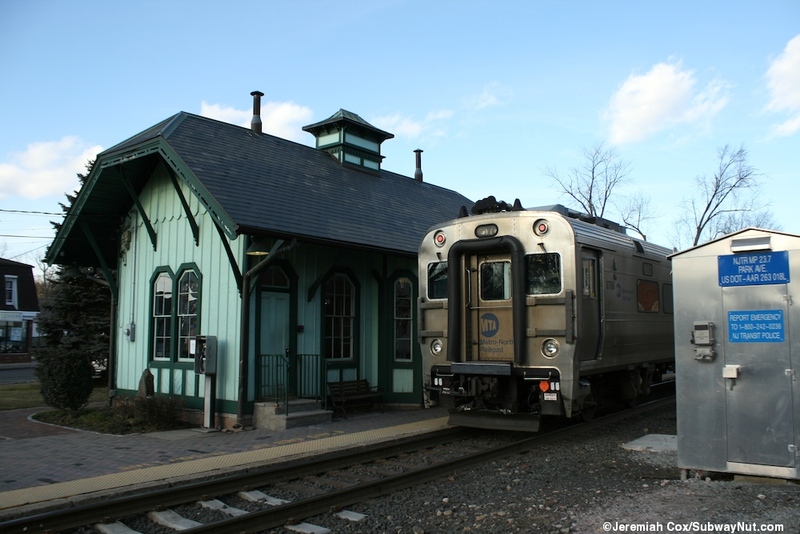 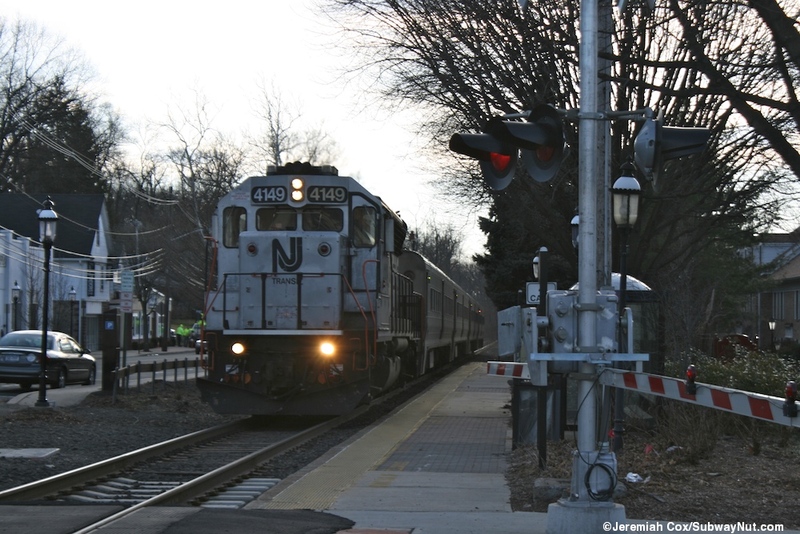 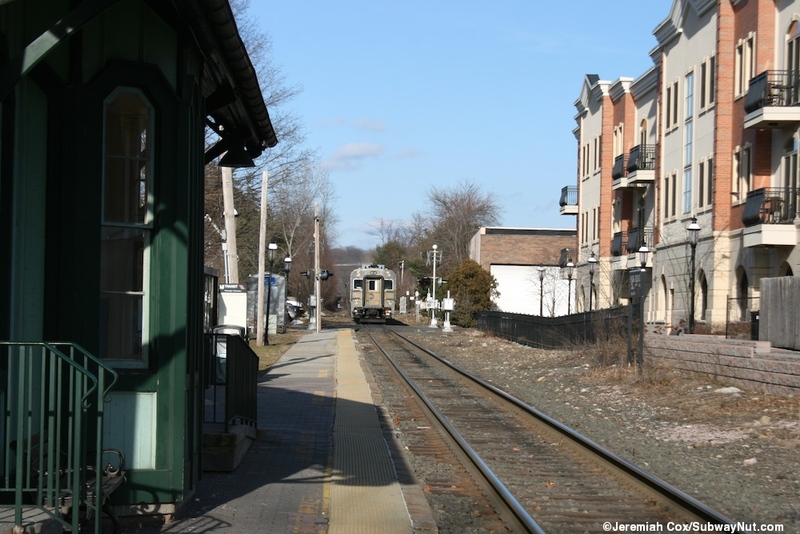 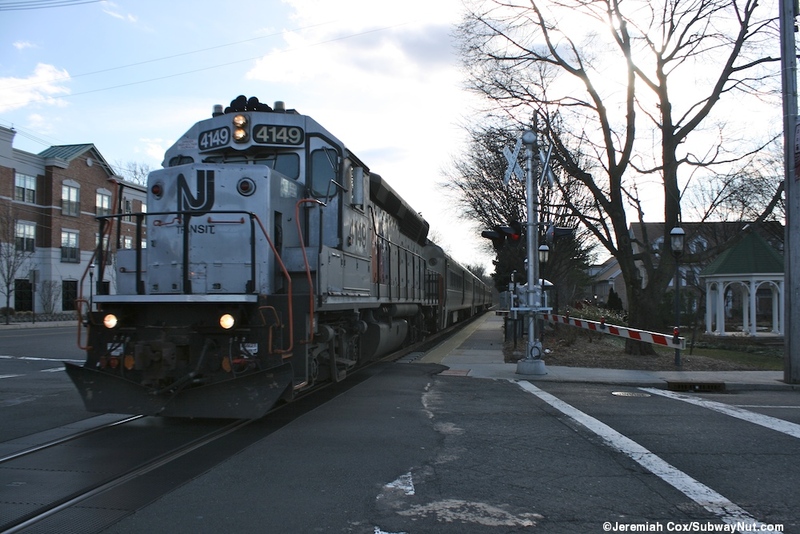 Park Ridge is an intermediate stop on the Pascack Valley Line. 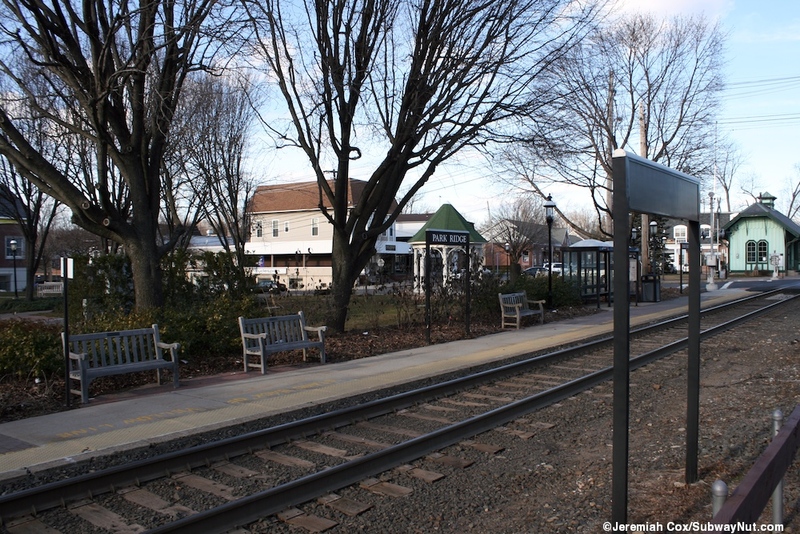 The station is located at street level and has a single low-level platform on the west side of the tracks. 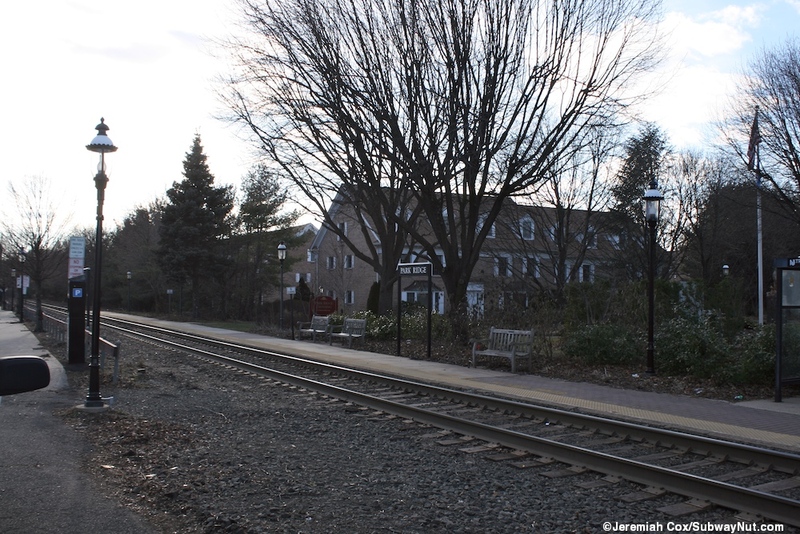 This platform has received a tactile warning strip but still has historic looking lampposts. 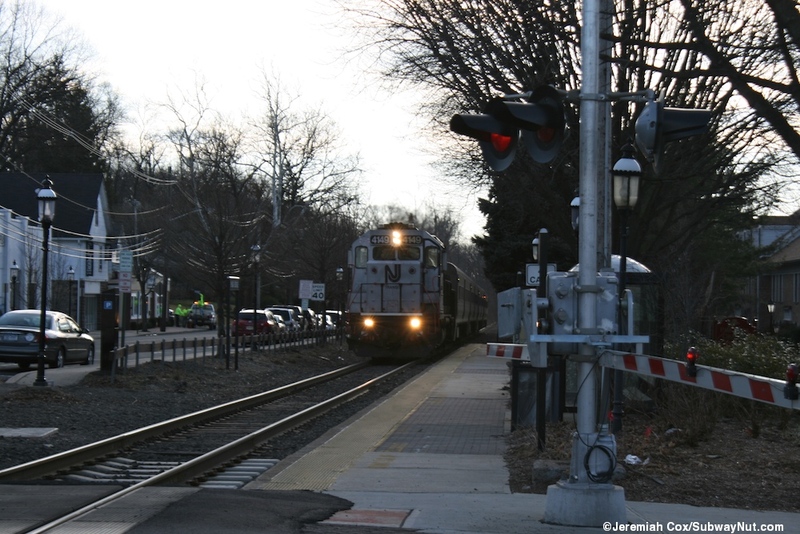 It is quite long with two halves with the grade crossing of Park Avenue in the middle of the platform, splitting it into two. 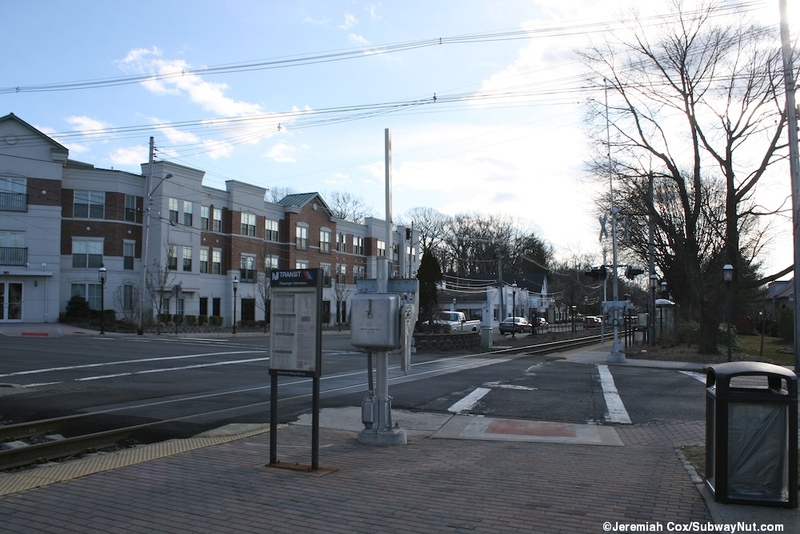 The southern half is only used by the rarely longer than four car trains and has Broadway across from it along with a single white domed black bus shelter for waiting passengers. 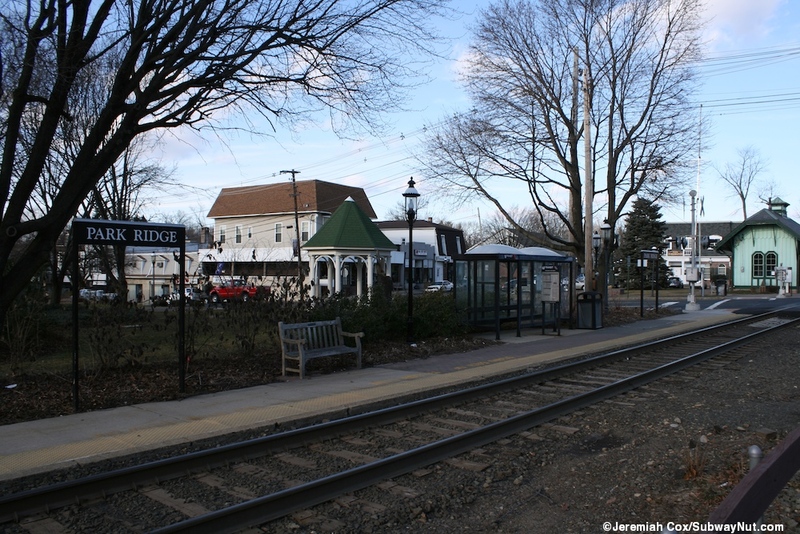 The northern half runs all the way to Madison Avenue's grade crossing and has the lime green Victorian era 1871 built train station towards its southern end with another bus shelter just north of it covering the station's TVM. 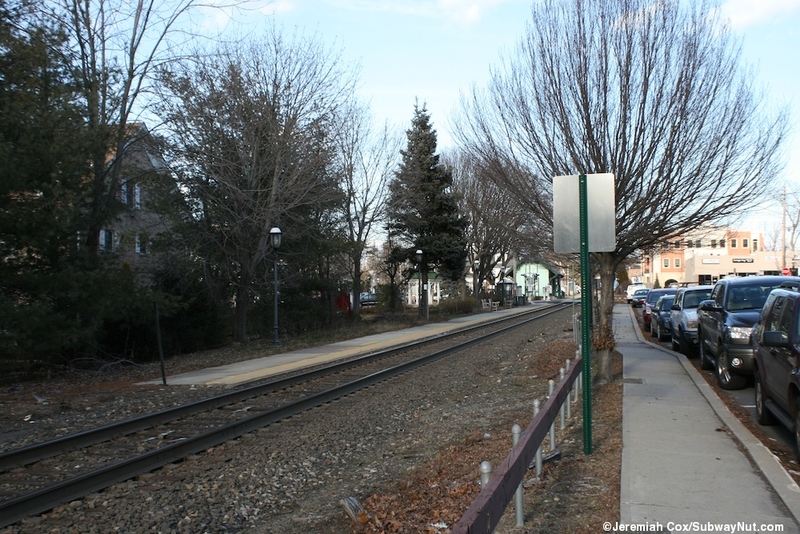 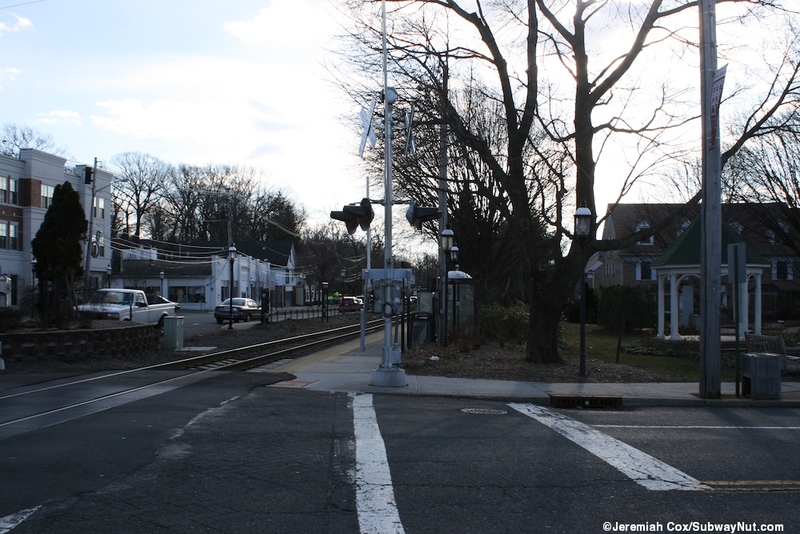 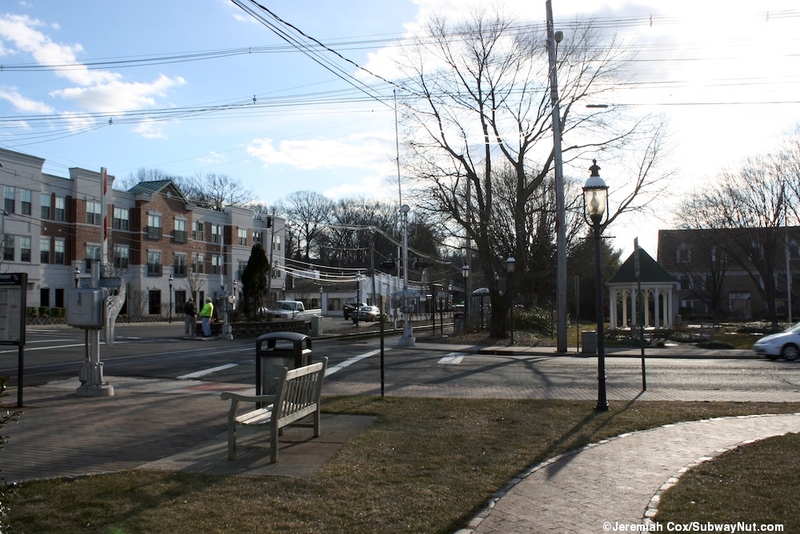 Parking is in 34 public metered spaces ($1 a day) along Broadway along the southern end of the platform plus a 100 space permit only lot across from the tracks whose southern end is Madison Avenue at the northern end of the platform, all is owned by the town. 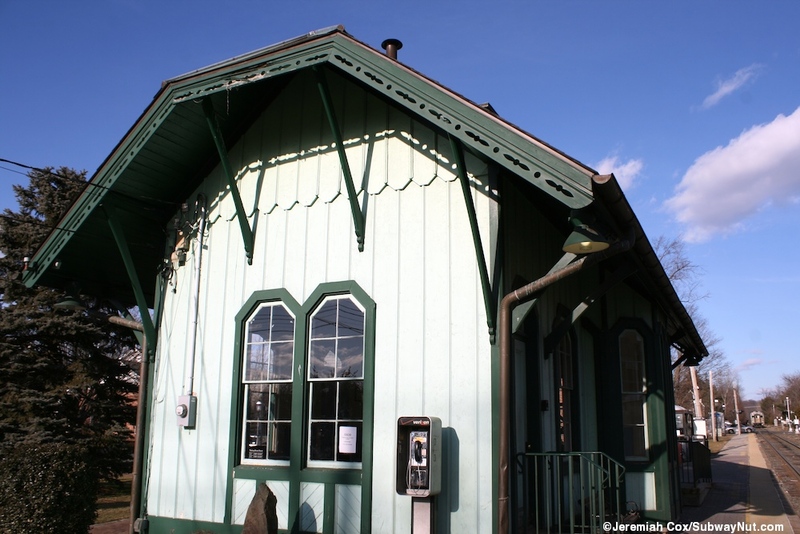 The depot, listed on the National Registry of Historic Places, has been restored to look relatively historic with a central potbelly stove and ceiling fans. 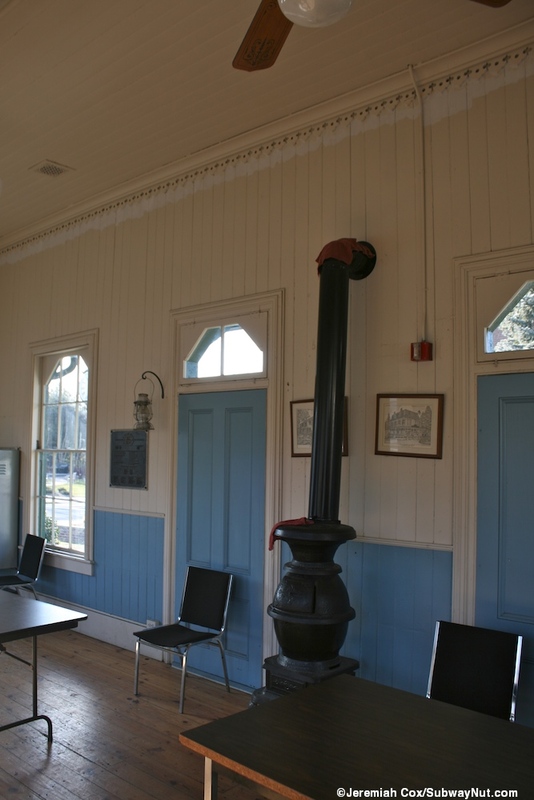 Seating consists of two more modern (in the 1980s) tables with sets of black chairs for its primary use, a community space although it also remains open for railroad passengers. 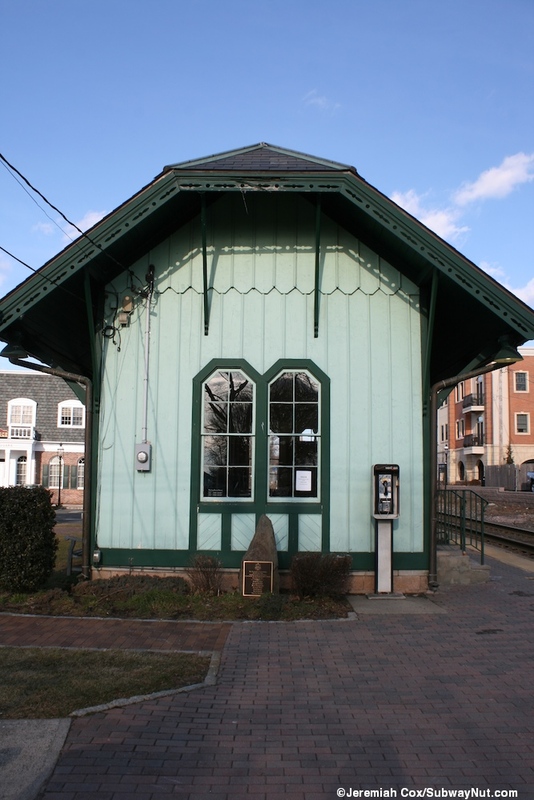 An odd renovation item is a tiny kitchenette with a mini-fridge and microwave. 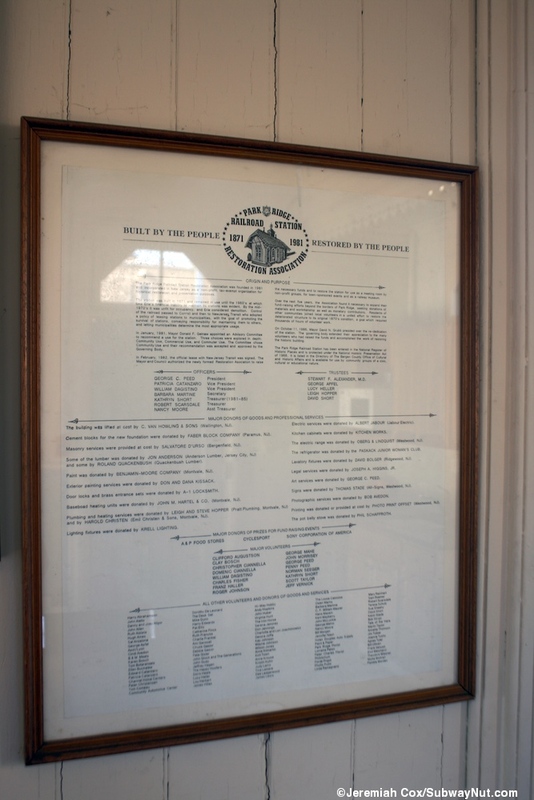 A framed sign discusses the history of the station: the 1871 built train station in the mid 1970s was unfit for occupation and the Erie Railroad considered demolishing it, before ownership passed onto Conrail and then New Jersey Transit, which began leasing its stations back to communities for upkeeps they couldn't afford on their own. 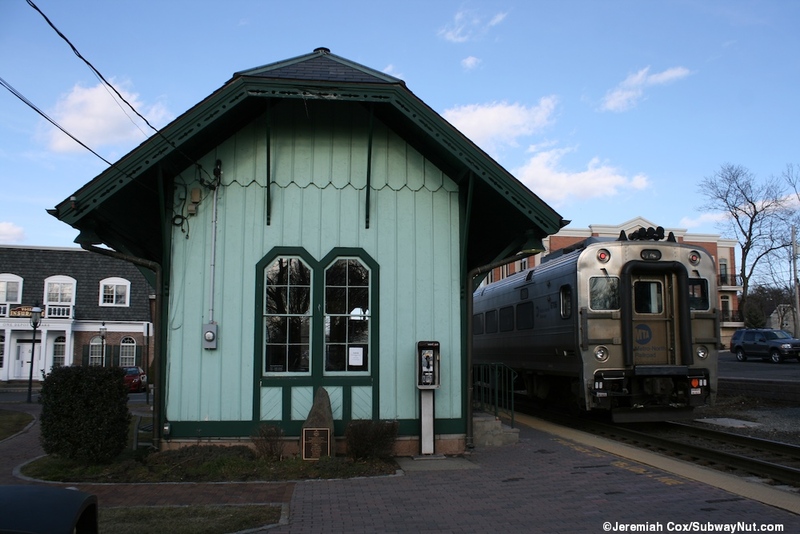 The station was restored by 'the people' starting with the founding of the Park Ridge Railroad Station Restoration Association, a tax exempt organization incorporated in January 1981. 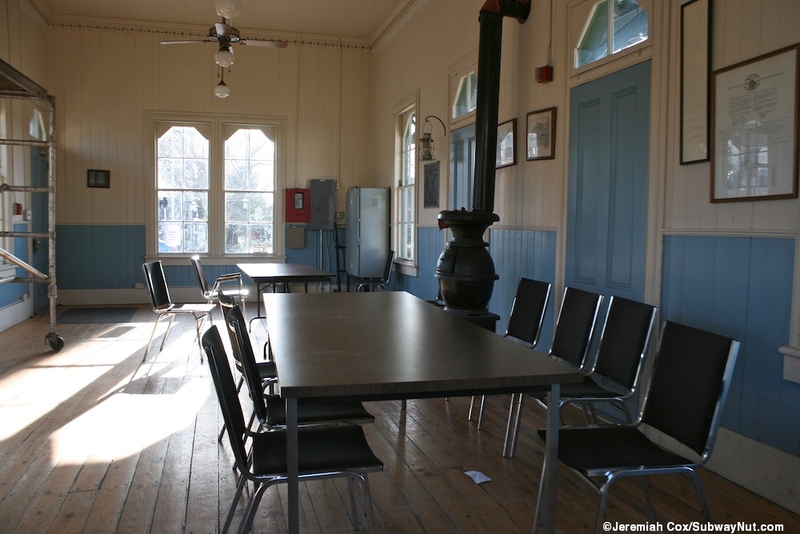 In February 1982 they leased the station and decided to restore it as a community space for use as a meeting room by non-profit groups, town-sponsored events and a railway museum (although there doesn't seem like much memorabilia on display). 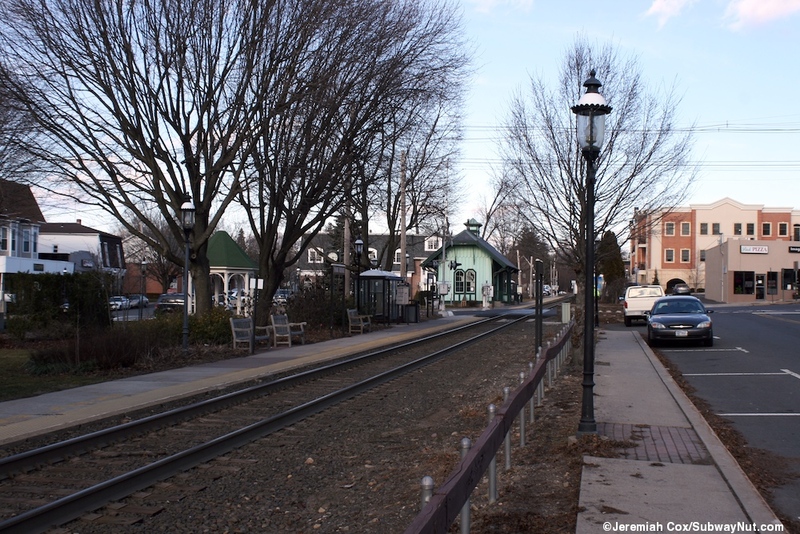 It was rededicated on October 11, 1986.